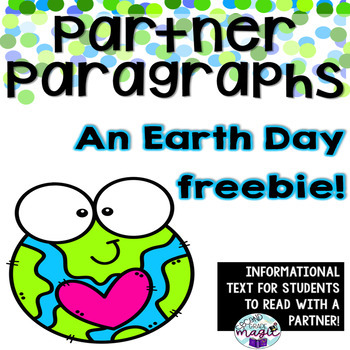 Earth Day Partner Paragraphs FREEBIE!! 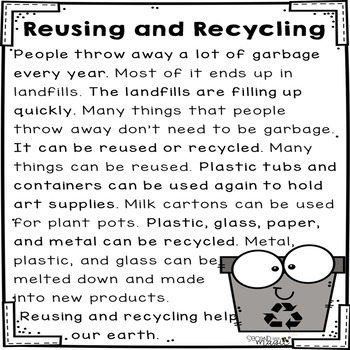 Earth Day is coming soon and I created these Partner Paragraphs just as a freebie for you! 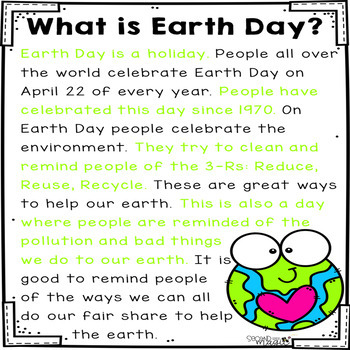 There are 3 paragraphs with topics like "What is Earth Day? 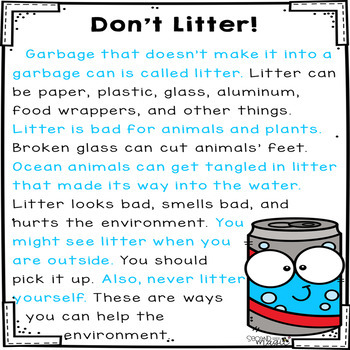 ", "Reusing and Recycling" and "Don't Litter". These paragraphs are just like my other monthly and seasonal ones. They are perfect for reading centers, read with a partner, and more. There is also a very short handout to complete after reading together. Just like all my other Partner Paragraphs, there is a colored version and a black & white version for every paragraph. If you like this freebie, you may want to check out my other Partner Paragraphs. I am always updating, and adding more passages. I am also open for suggestions. If anyone has any, please use the Q&A section! I'm all ears.